Brownhills West on the Chasewater Railway is a newcomer to the region's railway scene and a newcomer to the Chasewater Railway as the M6 Toll Road, to add to the general catalogue of bad luck faced by the Chasewater Railway during its history, drove through the original Brownhills West station - the site of which today is directly under the motorway! 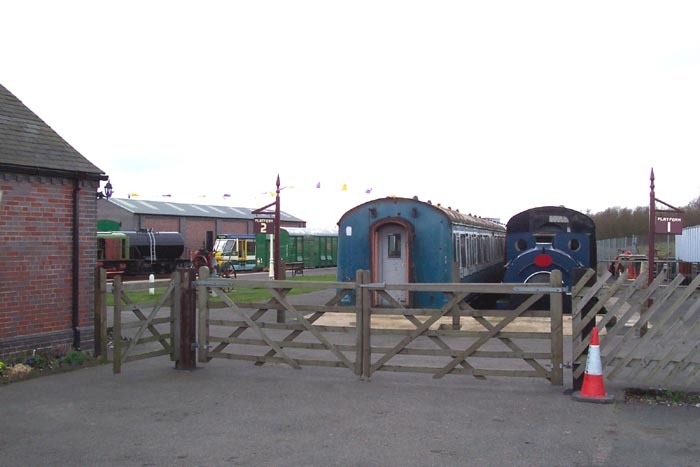 With the compensation for the loss of their facility, the Chasewater Railway built its present Brownhills West station and heritage centre and a nice job they've done of it too (albeit for the fact that the building needs to weather somewhat to fully give the impression required for authenticity). 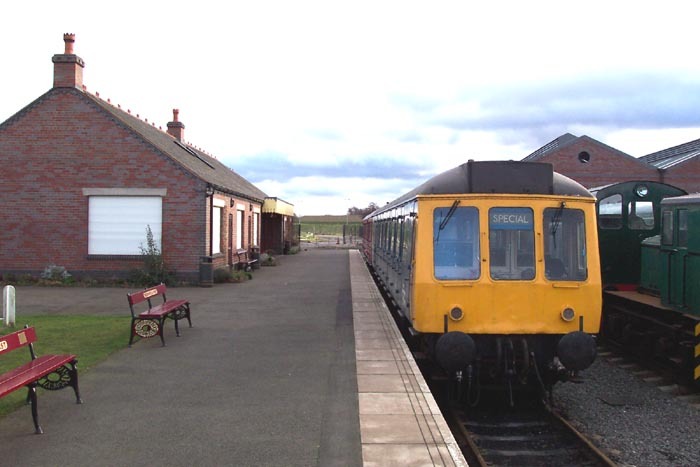 The station is built at the end of the railway that can claim some heritage itself in that the colliery end of the Midland Railway's extension from Aldridge through Brownhills passed through the site but other than that the site is a fresh venture. Above we see the station building from the public car park with the Heritage Centre making an appearance in the top-left of the shot. Above-left we have turned right from our previous shot and are looking at the entrance to the station platforms with, from right to left: platform 1, platform 2 and platform 3. Above-right we have moved through the gate and onto platform 3 and can see some of the stock at the site - including the rather odd-looking Parry People Mover - and on the far side the MPD shed can be seen. 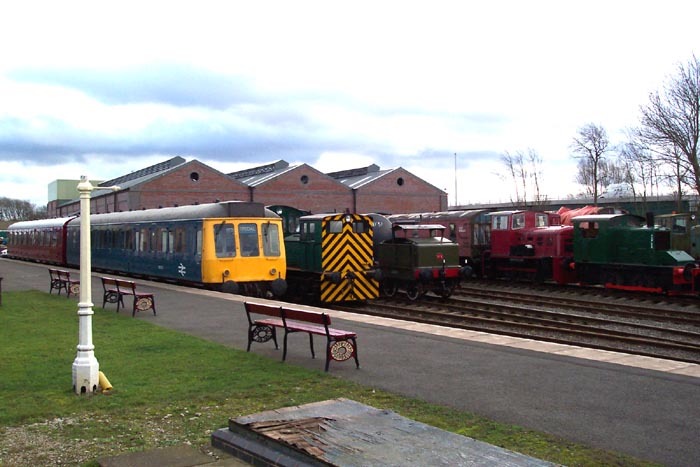 Above-left we are still on platform 3 and can see a class 117 DMU: a once familiar sight on the region's railways. 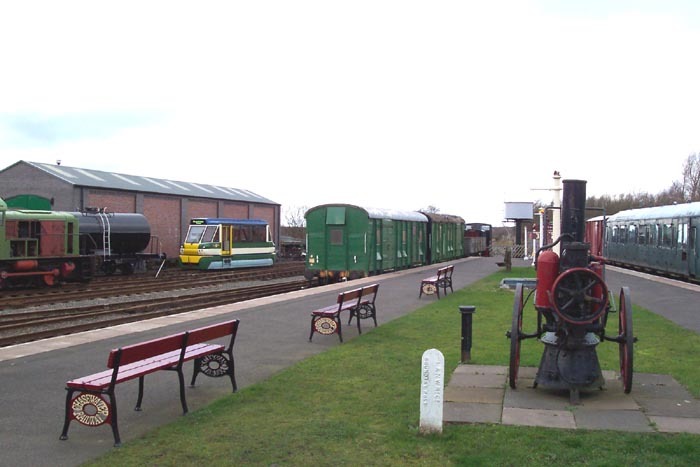 Above-right we are looking across the lines at the station and can see a variety of locomotive power: largely from the Railway's collection of ex-industrial diesel locos. Beyond the locos we can also see the Heritage Centre. 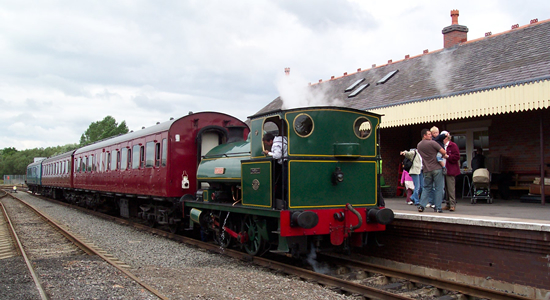 For some close-up shots of some of the locos on display, see page 3 of the 'Train Pics' pages.